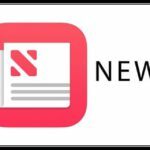 Apple announced yesterday that Apple News would include a new, special section dedicated to United States midterm election coverage. 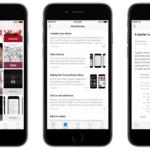 The new section will be completely human curated, likely capitalizing against recent machine learning efforts from Google News and Microsoft. 3.1 Re-Branded MSN App Too! 4.1 What About Google News? 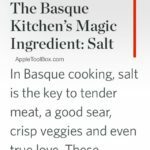 The new feature, which is available now to Apple News users, contains two new sections. The first, “The Conversation,” includes a variety of opinions from a spectrum of news sources on central issues, including from sources the user may not be subscribed to. The second, “On The Ground,” focuses on local issues in your area. 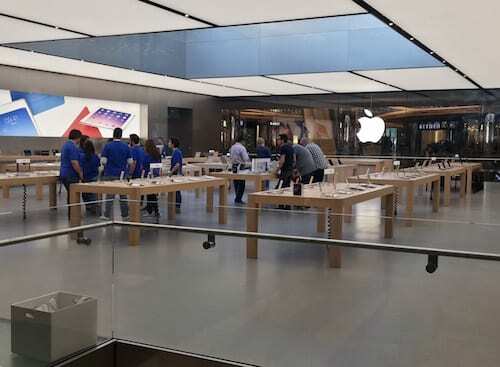 While Apple is heavily promoting the human curation aspect of its midterm election coverage, other companies have faced issues when attempting similar programs. Facebook’s political-bias controversy all began when it introduced the ‘Trending’ section in 2014 with human curators, who were later found out to be pushing political biases of their own to all Facebook users. One-stop-shop news apps from the biggest tech companies have suddenly become cool again. 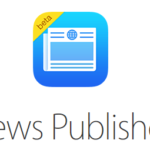 Despite all having previous efforts, Apple, Microsoft, and Google have all recently announced major News apps for users to view the latest news in a quick and streamlined interface. At its Google I/O conference in May, the company unveiled a wholly reworked Google News application. The app, which is available for iOS and Android, focuses on AI and figuring out what you are most interested in without you having to do anything. By using your Google account information, Google News automatically figures out your local and national political interests and presents a ‘For You’ section, with all the news that matters to you. 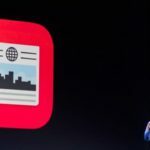 At the companies annual World Wide Developer Conference earlier this month, Apple unveiled an updated Apple News app that will launch alongside iOS 12 this fall. The updates include a new user interface, a redesigned iPad app, support for macOS. And once again a heavy focus on exclusive content and human curation. Earlier this week, Microsoft announced it would be rebranding the MSN app Microsoft News on Android and iOS. The app features a new design, and a focus on local news for users to be able to keep up-to-date on issues close to them, not just broad political issues. The upswing in News apps from tech powerhouses is likely a result of some factors, including the election of President Donald Trump, who was both widely predicted to lose by legitimate news sources and also resulted in an upswing in fake news sources. Additionally, the tech industry is likely profiting off the recent controversy surrounding Facebook, which is currently facing privacy and bias concerns from world governments. In 2014, Facebook introduced a new trending feature, adding a box to the right of the Facebook homepage featuring the latest news. The feature began to receive major scrutiny in 2016 when a Gizmodo report revealed that Facebook had been outsourcing the curation of the feature, and Gizmodo interviews with employees revealed they frequently inserted political bias and there was no accountability for doing so. To combat the controversy, Mark Zuckerberg invited some conservative leaders and journalists to a meeting at Facebook and announced shortly after that Facebook would switch the Trending section to a machine learning algorithm. After the start of the 2016 Presidential Election, fake news sites created for gaming Facebook’s algorithm began to appear in the thousands, resulting in 9-11 conspiracies and other misinformation populating the trending section. Google’s approach to machine learning in the new Google News app is a little bit different, as it learns from your usage, not everyone else’s. Despite this, if a user has history on an illegitimate news site, the publication could end up in the users’ final algorithm. Apple’s approach of human curation is decent, but one that must be handled very carefully. The company has made it clear it has a team of people dedicated to this project, and emphasized Fox News and Vox, polar-opposites on the political spectrum, as the named sources in the midterm election. Despite this, Apple and all other tech companies must be careful, as Silicon Valley is a largely liberal area, and any form of misstep could result in foul-play accusations.